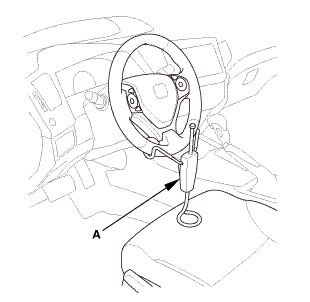 NOTE: Do not allow dust, dirt, or other foreign materials to enter the steering gearbox. 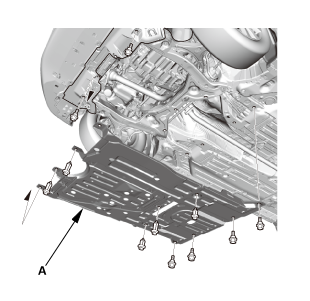 Remove the ground terminal (A). 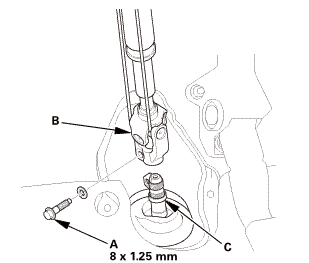 Remove the steering gearbox mounting bolts (A). 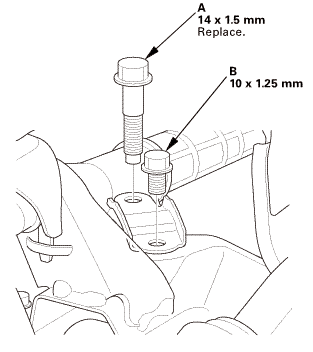 Remove the stiffener mounting bolts (B). 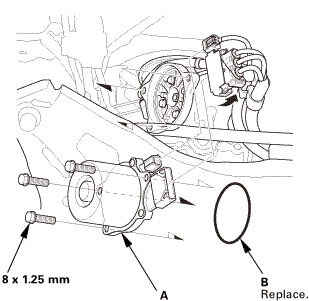 Remove the steering gearbox stiffeners (C). Move the steering gearbox aside. 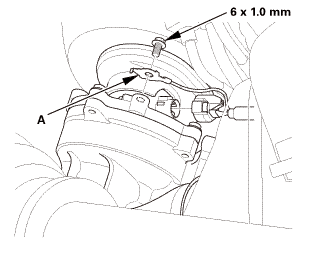 Remove the EPS motor (A) and the O-ring (B). 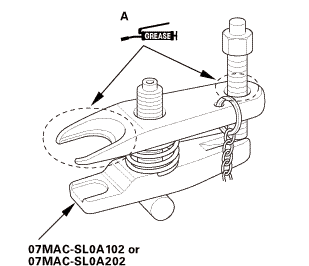 Apply steering grease to the new O-ring (A). 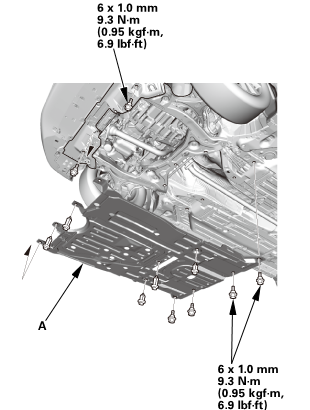 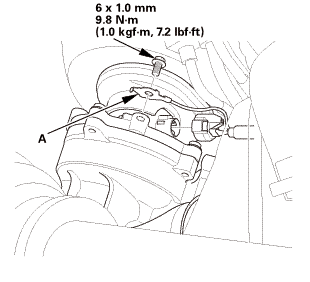 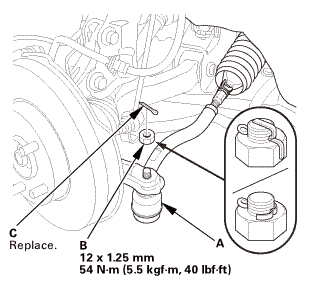 Apply steering grease into the EPS motor shaft (B). 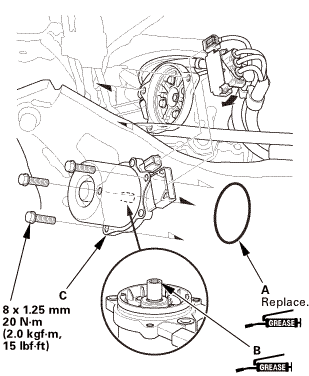 Install the O-ring to the EPS motor (C). 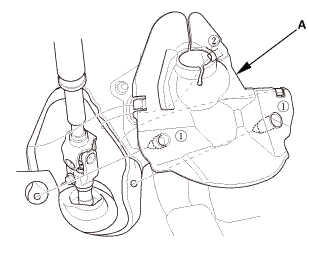 Set the steering gearbox is in position. 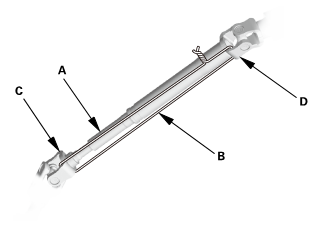 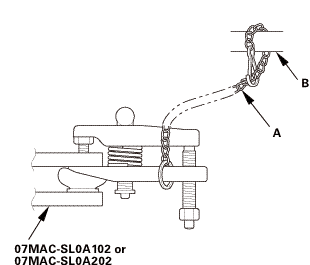 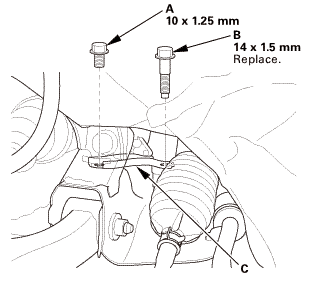 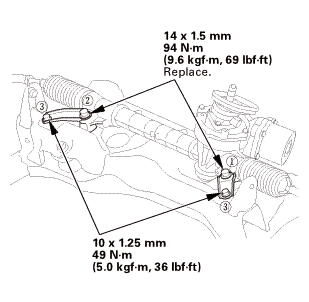 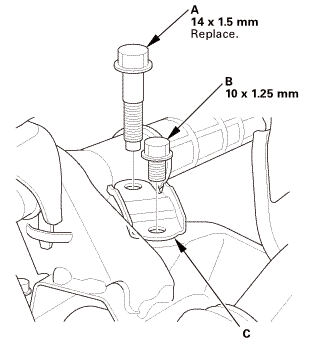 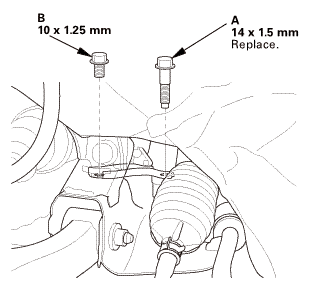 Loosely tighten the steering gearbox mounting bolt (A) and stiffener mounting bolt (B). 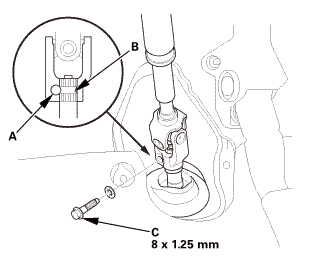 Tighten the steering gearbox mounting bolts and stiffener mounting bolts to the specified torque in the sequence shown. 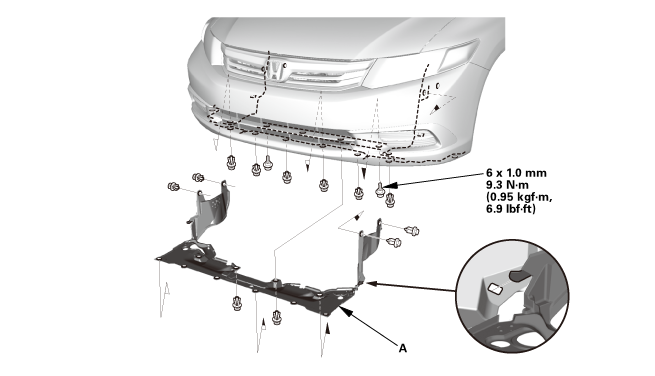 Install the ground terminal (A). 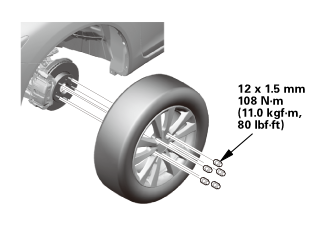 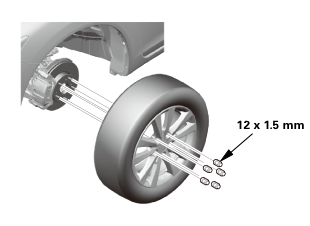 With the tires raised off the ground, check for the following symptoms by turning the steering wheel fully to the right and left several times. 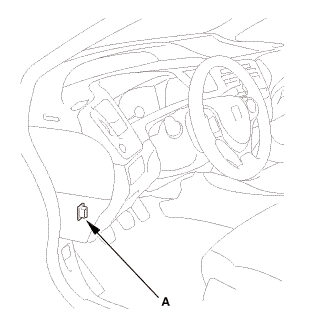 Rubbing sound coming from the lower steering column area. 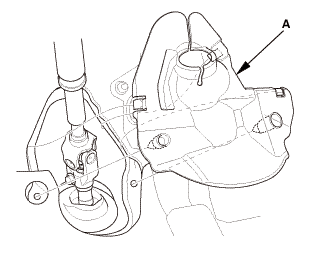 Steering column joint is contacting the cover. 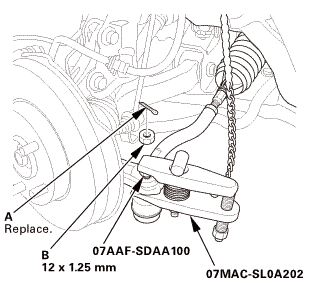 Grating sound from the lower steering column area, or a rough feeling during steering. 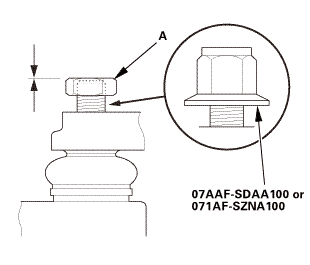 Poor engagement of the pinion shaft serrations. 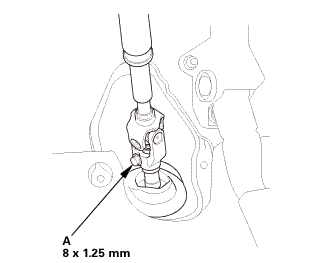 Noise from around the steering wheel during steering. 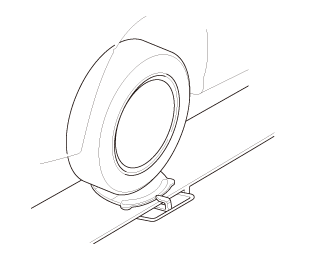 Poor engagement of the SRS cable reel with the steering wheel, or a damaged cable reel. 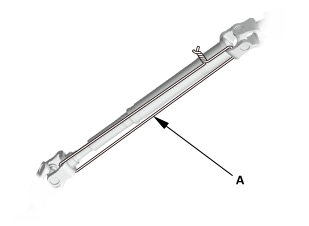 The torque sensor is temperature sensitive. 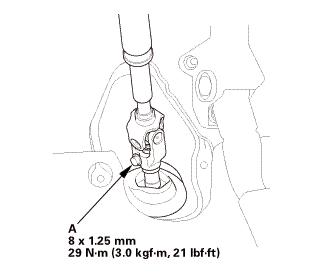 When memorizing the torque sensor neutral position, the ambient temperature must be above 68 °F (20 °C). 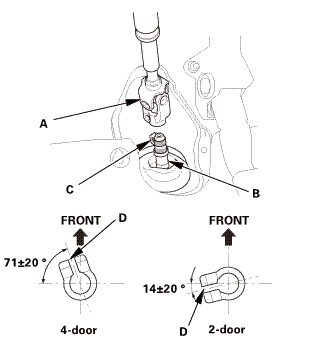 Select EPS ADJUSTMENT, then select TORQUE SENSOR LEARN with HDS, and follow the screen prompts.